KAMPALA – Uganda is celebrating one of their most renowned events worldwide dubbed the Italian Week. The week-long occasion that started on Monday is a celebration of the Italian culture and the influence of Italy internationally. It is celebrated on different dates in different countries. 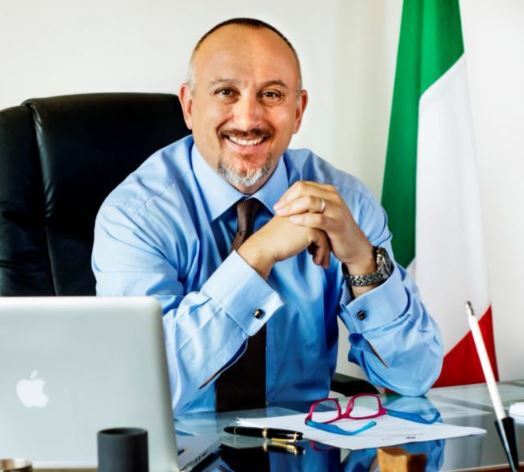 PML Daily’s ABRAHAM MUTALYEBWA spoke to the Italian Ambassador to Uganda, His Excellency Domenico Fornara about the much-anticipated celebrations. ANS: Every year the Italian Ministry of Foreign Affairs plans a series of “thematic” weeks, to promote various aspects of the Italian culture and way of life such as literature, cinema, design, food, fashion and music among others. All Embassies are mandated to organize events under this framework. The Embassy in Kampala has also organized a number of promotional events, including the annual Italian Cultural and Culinary Week which usually takes place in November. QN: Last year’s celebrations focused more on cinema. What should we expect this year? ANS: This year we will focus primarily on promoting Italian cuisine, as we consider it one of the most healthy and tasty! in the world, as well as tourism. We will have two gala dinners, master cooking classes with a renowned Italian Chef, Fabio Bongianni. We will also screen films and host a concert of an Italian band. Finally, we will run events in a Ugandan school in Bwaise II Parish and at Rhino refugee camp, Arua. QN: You held a fundraising dinner at the Sheraton hotel to raise funds for the disabled children at CORSU Hospital in Entebbe. What is the significance of this activity? ANS: We always associate our cultural events to charity causes. Last year, we helped CORSU hospital. This year we will run a raffle (the first ticket being around way ticket to Italy offered by Qatar Airways) and all the proceedings will be given to a project; Able+ from AFRON, an Italian NGO that has been working in Uganda for over ten years in the field of women and child cancer prevention. Able+ aims at addressing the challenges of Burkitt’s Lymphoma, one of the most spread child cancers in Uganda which can be cured if diagnosed in time. QN: What are some of the milestones achieved by the Italian Week? ANS: Over the years, the Italian Week has considerably increased the visibility of our culture in Uganda and helped in promoting the Embassies’ activities in all fields. This is proven by the exponential interest of sponsors/partners: in 2015 we organized the Week by ourselves; in 2016 we had six partners; in 2017 sixteen; this year we count twenty-eight. I would like to pay tribute to all of them: ACAV, AFFCAD, AFRON Oncologia per l’Africa Onlus, Al Thuraya Consultancy, Areg Agrofood, Bayimba, Bwana Tembo Safari Camp, CAIU, Capital FM, Cheesvi, City Tyres, Consolato Onorario della Confederazione Elvetica, Dad’s Delights, DiVino, Draco Ug Ltd, Fabiolous Cooking Day, Inspire Africa, Ital Aluminium Ug Ltd, KK Security, Linove, NBS, Property Services Limited, Qatar Airways, Sheraton Kampala Hotel, Sobetra International, Stirling Civil Engineering Ltd, Uganda Jungle Lodges, 7 Hills International School. QN: Italy and Uganda have had close cooperation for many years like through religion and tourism. What more activities are in plan to boost trade cooperation? ANS: Over the years the priority of our Development Cooperation has been the support to Uganda’s health sector. It is still so, but we are also working in various other fields: agriculture, vocational training, water and sanitation, emergency response to the refugee crisis. The Italian Cooperation works in strict collaboration with all the Italian NGOs and SME active in Uganda. QN: Uganda has a lot of business opportunities that need to be harnessed with partners from Italy for trade, and bilateral relationships to benefit both countries. What is being done so far that the business communities should look out for? ANS: Our bilateral exchanges have increased by almost 50% in the last three years. Italian companies are increasingly interested in the Ugandan market. We are working hard with the Italian Trade Agency to introduce our entrepreneurs in Uganda: the Embassy hosts a desk of the Agency; we have also organized a number of country presentations and entrepreneurial missions. It should also be noted that the Italian pavilion won the prize as the Best National Pavilion of the 26th edition of the International Trade Fair of Kampala (UGITF). QN: Italy is a giant in the agricultural. It also has great delicacies and Pasta such as Macaroni. The agricultural sector in Uganda is the biggest employer with most of the farmers engaged in subsistence farming. How can the Italian Week help in motivating this sector? ANS: It is true agriculture employs the majority of Ugandans but concurs to a minimal part of your GDP. Uganda should move out from subsistence farming and promote a better structured and organized use of its huge resources. I see a lot of potentials and I believe that the cooperative system could help Ugandan farmers increase and strengthen their supply while keeping full ownership of their productions. In Italy, we have expertise in this sector, and some Italian entities (from civil society and private sector) are already cooperating with Ugandan counterparts. QN: What your last word to the public? ANS: Italians have been friends of Uganda for over a hundred years. Enjoy our cultural promotion, get to know us even better and learn about the huge potential of our bilateral relations.